If this looks like yesterday's fencspost, it is. 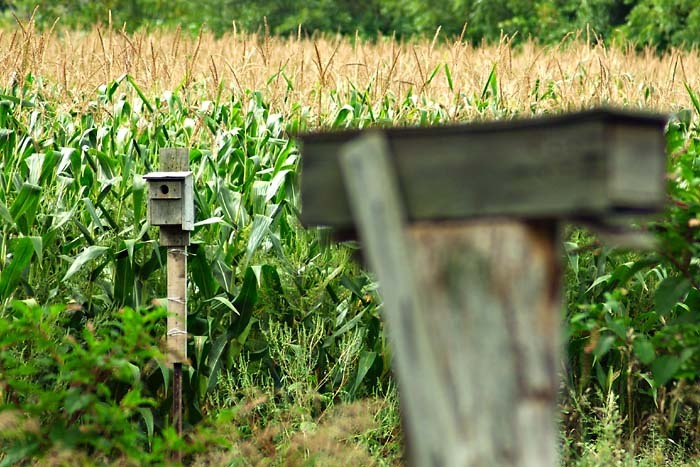 I took a second shot of the same pair of posts after recomposing slightly and focusing on the birdhouse in the rear. What can I say .. it seemed deserving of its own photo. This is that photo. Tomorrow, something that's not a fencepost . . .